After I released the first public version of my Approval Manager, last week, I’ve got some nice comments on it. One of these comments was that it would be very handy to built-in some alerting. And that’s what I did in this updated version! Select a User from the specified Collection. Show only Approval Requests, for the selected User, that are Pending Approval. (NEW!) Show an alert when new Approval Requests, are Pending Approval, for the Users of the specified Collection. Approve, the selected, Approval Request. Deny, the selected, Approval Request. As mentioned, above, there is a new function to add some alerting. This function adds a timer that will check every hour for new Approval Requests, which are Pending Approval, for the Users of the specified Collection. This function can be enabled by using the new command line switch –EnableAlert. 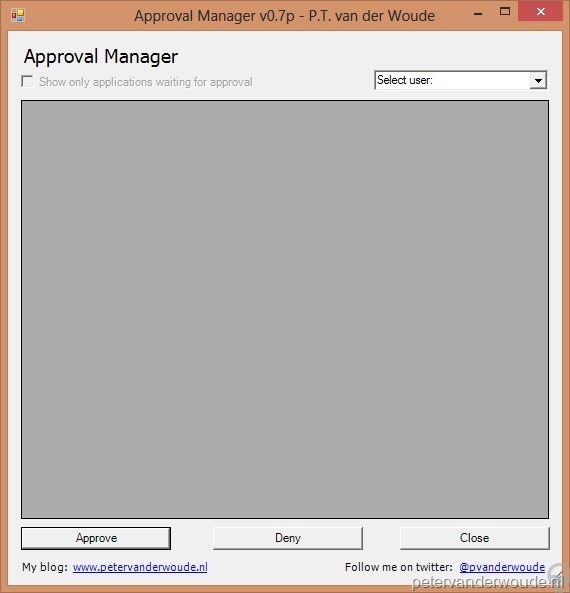 As of today the updated version of my Approval Manager is publicly available via the TechNet Galleries. Please let me know what you think of the tool (and specifically this update). 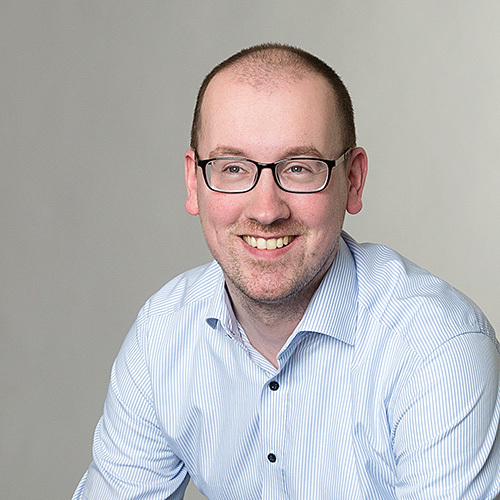 Today I released a public version of my Approval Manager, which I mentioned a few weeks ago in my post about Managing Approval Request in ConfigMgr 2012. The biggest difference, and maybe even a contradiction with what I mentioned in that post, is that I did NOT use the PowerShell Cmdlets for ConfigMgr 2012 in this release. The main reason for that is that using WMI, via PowerShell, is much friendlier for remote usage. Show only Approval Request, for the selected User, that are Pending Approval. Collection – Read; Read Resource. As of today my Approval Manager is publicly available via the TechNet Galleries. Please let me know what you think of the tool. 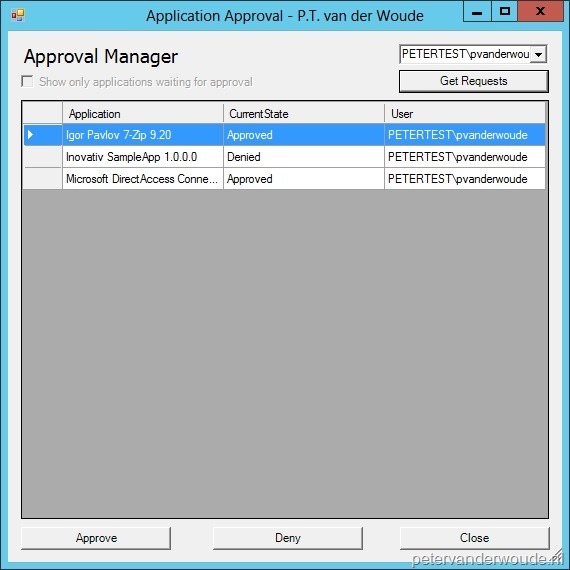 This week I want to devote a post to managing Approval Requests in ConfigMgr 2012. I’m not going to discuss whether the current model works, or not, I’m just going to say that in general it won’t work. The reason for that is simple, because it’s just one big list for everyone and every single Approval Request. To fill a small gap here, there is the Application Approval Workflow (solution accelerator), but for that also System Center 2012 – Service Manager and – Orchestrator are required. This just doesn’t fill the gap for everyone and/ or every company. So where does this leave us? Instead of complaining about all this, something that’s in a humans’ nature to do, we can also look at the options that we do get. With ConfigMgr 2012 SP1 we’ve been given PowerShell Cmdlets for ConfigMgr 2012! Many has been written about that already, so here I’m just going to give an example of what can be done with it. What I did was, with some help of PrimalForms Communtiy Edition, create a basic form, with some buttons and a selection box, to manage Approval Requests. The basic idea behind it, is to give somebody a list with users and let him manage the Approval Requests for those users only. By default the form shows all the Approval Requests for a specific user and gives the option to only show the Approval Requests that are waiting for approval. Then the Approval Requests that are still waiting for approval can be either approved, or denied. Approve-CMApprovalRequest -Application $ApplName -User $User -Comment "Request approved." Deny-CMApprovalRequest -Application $ApplName -User $User -Comment "Request denied." This was my first real, but small, PowerShell project in ConfigMgr 2012 and I do have to say that I really like the power of it. It makes it very easy to automate console action. One thing that is important to note is, that it’s also via PowerShell not possible to do something with already approved, or denied Approval Requests. In case someone wants to see/ have the complete code, I will upload it somewhere next week. For those, that can’t wait, don’t hesitate to contact me.